Spread desired amount of hollandaise sauce on the toasted bagel. Place prepared egg on top of holliandaise sauce. 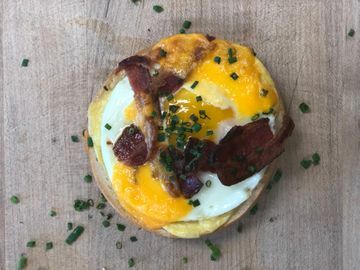 Top with cheddar cheese and crumbled bacon. Place in the oven at 350 degrees for 10 minutes. Finish the pizza Bagel by sprinkling chopped chives on top. Spread desired amount of pesto onto bagel. 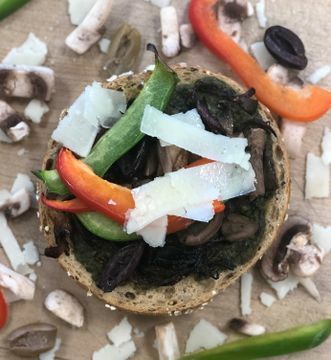 Top the bagel and pesto with peppers, onions, olives and mushrooms. Bake in the oven at 350 degrees for 10 minutes. To finish, top with shaved parmesan. 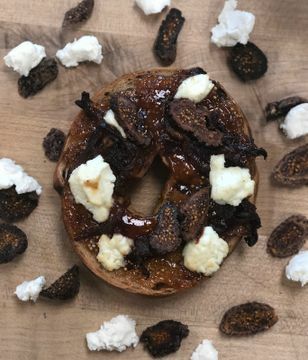 Spread fig jam on top of the toasted bagel. Top with as much cheese, onions, and dried figs as desired. 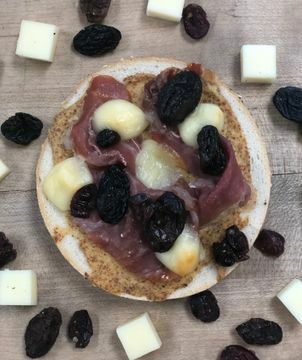 Place prosciutto, cheese, and dried fruit on bagel. 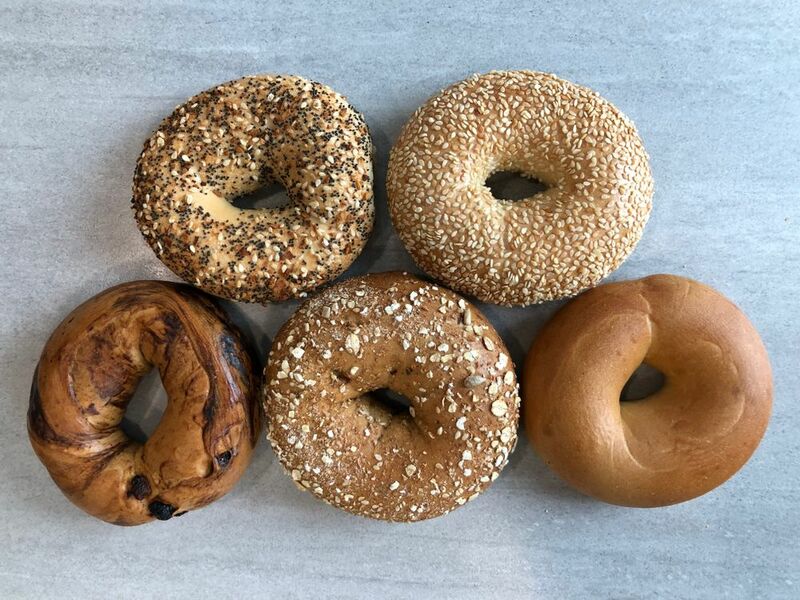 How are you celebrating National Bagel Day and National Pizza Day with Dunkin’? Let us know on Facebook, Twitter and Instagram!